If you are involved in a divorce where you or your spouse has retirement assets, such as a pension or a 401k, then you may need a qualified domestic relations order, or a “QDRO” to divide those assets. * A QDRO is a document that transfers funds from a retirement account to an ex-spouse without any tax consequence, so long as the transfer is done incident to the divorce. 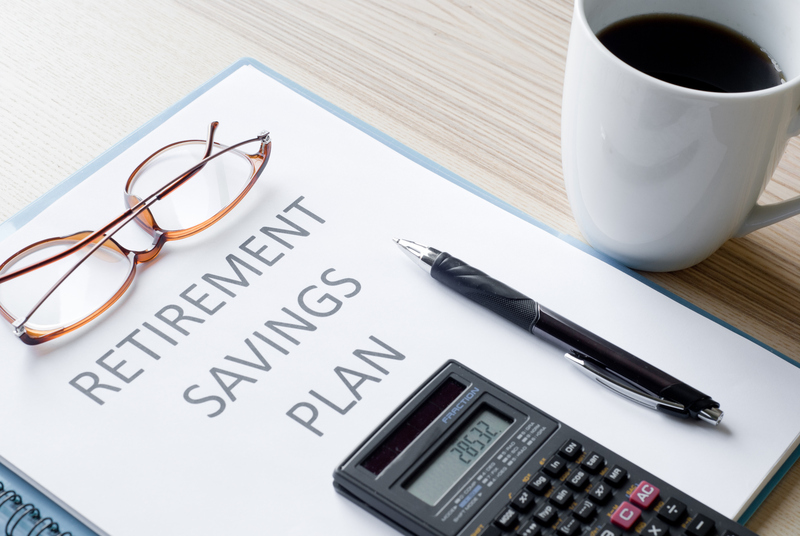 It is important to note however, that if the recipient spouse subsequently withdraws money from the retirement plan after the QDRO, then he or she will have a tax consequence. Only the transfer is tax free. When the parties agree to divide retirement accounts pursuant to their marital settlement agreement (divorce agreement), language should be in included which requires a QDRO to be drafted effectuating the transfer. Also, it should state that both parties are responsible for one-half of any costs associated with the preparation of a QDRO. It is important for the party receiving the retirement funds to start the QDRO process and divide the retirement account(s) as soon as possible after the date of divorce. In general, the party who will receive a portion of the asset should initiate the QDRO process immediately. The process to start the QDRO may commence even though the retirement benefits you are receiving may not be subject to payment. For instance, if you are entitled to your ex-spouses’ pension and he is not entitled to receive benefits for many years, the QDRO process should still be commenced immediately after the divorce is final. If you wait too long to start the QDRO process, it could end up complicating the process, or even result in you losing the ability to receive your portion of the retirement asset. By statute, if no action is taken on a judgment after twenty years from the date of the judgment, usually from the date of divorce, then any action thereafter may be barred. Meaning the party that could receive a portion of the asset would no longer be able to divide and receive part of that account by QDRO. Even if a QDRO is started before the twenty year cutoff, but a party waits a significant amount of time after finalizing the divorce, the laws may change regarding how an asset can be divided. Waiting too long may all lead to confusion as to how the parties intended to divide an asset. For example, there have been significant changes to the laws regarding the division of military pensions that could affect how a QDRO would be drafted regardless of whether the judgement of divorce, requiring the QDRO, was granted before these new laws were enacted. As another example of possible confusion, is if the parties agree to award a specific dollar amount of a retirement asset to one party, which is to be divided by QDRO. If the parties wait a year or even ten years, it is possible that the asset significantly loses its value before the QDRO is drafted and processed, and there isn’t enough value to pay out the specific dollar amount that the parties agreed too. This may lead to confusion as to how to divide the asset if there are insufficient funds, and who will be responsible for the difference. This could easily lead to further litigation, even if the marital settlement agreement is well drafted. Lastly, one of the most significant issues if you wait to divide the retirement asset is that your ex-spouse could withdraw monies from the account or retire and start collecting benefits but doesn’t pay you the portion you are entitled to. Then you would have no choice but to go back to court to try to seek reimbursement from your spouse. However, the court may fault you for not pursuing the QDRO so you may be penalized for that. These examples show why it is imperative to start the QDRO process as soon as possible after the date of divorce. If you believe that you or your spouse will need to divide a retirement asset with a QDRO, or that you believe you need help with the QDRO process, call Nelson, Krueger and Millenbach, LLC at (414) 258-1644 to schedule a free initial consultation to discuss your case. *Note: A QDRO is not necessary when dividing some retirement accounts (non-qualified), primarily IRA’s. However, it is equally important to make sure those accounts get divided as soon as possible for the same reasons stated above. Usually a simple form from the financial institution is sufficient when dividing these non-qualified plans.